Oh, puh-leeeze! Daxe is sooooo much HAWTER! lol, why, no, the pic didn't show up on my computer; why do you ask? lol, looking forward to runnin' with ya! Nice idea! I'm gonna take a screenie of my Abuto and post it too. 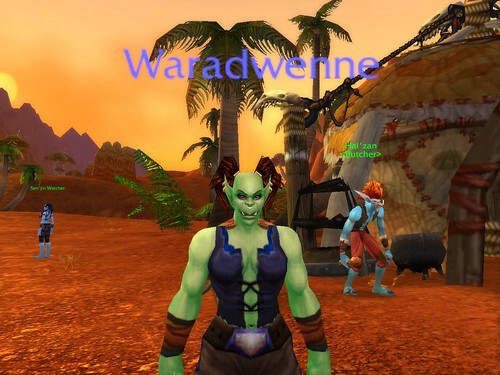 However, unlike you gorgeous Orcs and Belfs, my Troll cannot claim hawtness except in the bootie area.